different ones and ordered a few. this post is a "you just never know" story. quilting heroes, with another quilting hero as a classmate! making a quilt for Kathy Doughty. Didn't I say this was a "you just never know" story?! 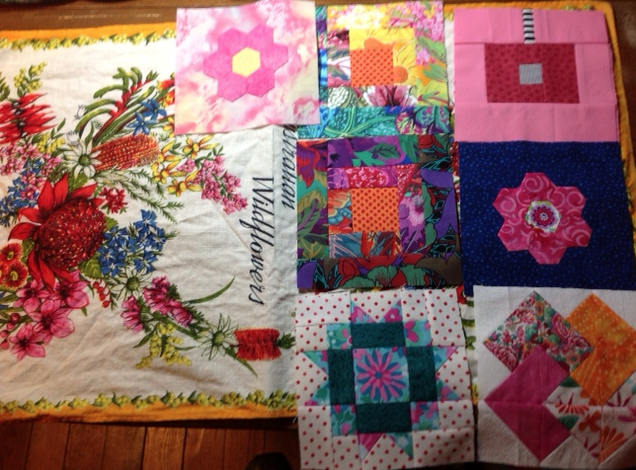 designing in my head than I do actually making quilts! So, I hadn't actually done many of the techniques that were needed to make this quilt. quilt around it. 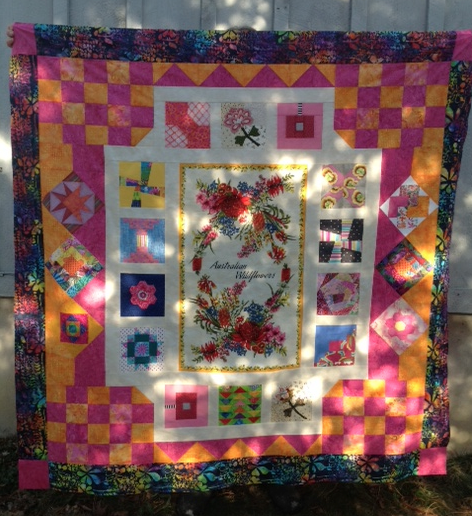 I incorporated made fabric MADE BY VICTORIA into the quilt. I used many new-to-me techniques, including using blocks made by other people, totally making up the design as I went along(great fun! ), and – this is where the play seriously turned to work – machine-quilting something rather large (five feet on a side) with a design that, while relatively simple, was far more complicated than a bunch of parallel lines, which is the only machine-quilting I'd done before. I did not work at my own pace because of the deadline based on Victoria's departure for Australia. And I didn't report progress because I didn't know this was going to become a challenge quilt and a blog post, and I didn't want the quilt to "go public" before Victoria gave it to Kathy. I'd like to publicly give my heartfelt thanks to my co-creators of this quilt: Liz, Ruth, Helen, Earamichia, Marge, Lisa, Karen, Robin, and Victoria. Thank you all, so very much! I'm so looking forward to meeting all of you in July! Thanks LAURIE!!!! We all had so much fun contributing to this quilt,and I will indeed bring back pictures of the handover! Great work which I am sure the receipient will treasure! There is nothing as inspiring as working towards a real life deadline, is there! What a wonderful story of hard work and friendship and what an absolutely beautiful quilt. Brilliant work, Laurie. Oh Laurie you have brought a tear to my eye. A wonderful quilt so full of love. I am so glad that you did that! I was also moved by KD's story and sent good wishes with Victoria. The quilt is lovely!!! It takes the cake. My top is done and my batting just arrived so I can work on finishing it. Congratulations - can't wait to see the recipient...tears of joy! Love the quilt, but love the story and the love behind it even more. Awesome job. What a story! Congrats and hugs to all you loving ladies who helped bring Laurie's idea to fruition. Love, love, love the story and the quilt! What a fantastic job and beautiful execution! 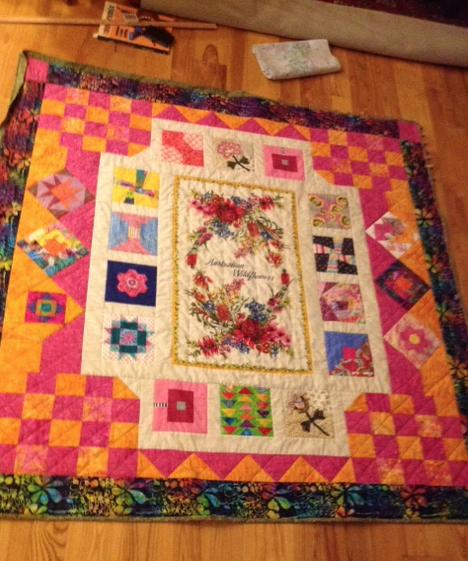 Laurie, the quilt is sooo beautiful it made me cry. Your heart, everyone's heart--was soooooo into this. I can see the love. What a wonderful gift. I love everything about this quilt, and the story behind it. Congrats to you - you followed your instincts and created a beatiful labor of love. I know that Kathy will feel the love of all of you when she feels it around her. I love how blogging has really made it a "small world" indeed. Thanks for sharing. Gorgeous and beautiful in every way. What a lovely gift!! What a wonderful story! The quilt is sooo gorgeous!! It's a great quilt (with a great story). Kudos to you for making it happen! 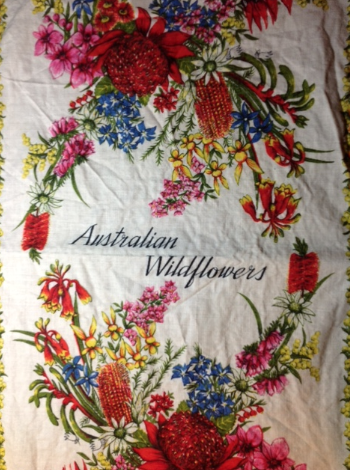 Kathy will treasure this quilt, it's got so much love stitched into it. 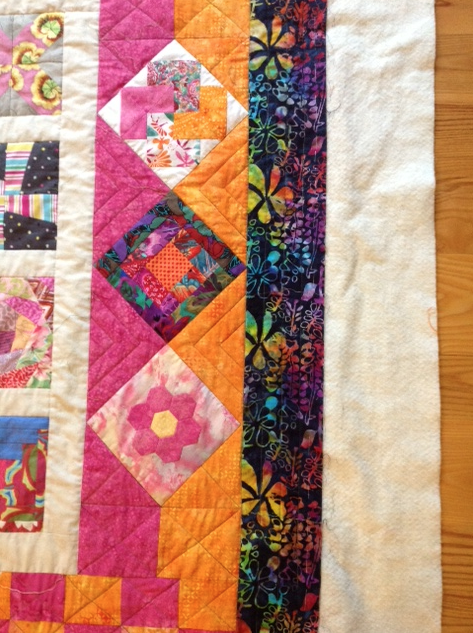 I believe quilts have a way of coming to life when they are needed! What a wonderful quilt and a wonderful story. there is nothing better than a quilt stitched with love and it sure shows - what a brilliant and heartfelt challenge that you all rose to . Fabulous!! As one of the participants, I can't thank you enough...especially when I saw how different all of our blocks were! When I read Kathy's post on her blog yesterday, I knew that you would be thrilled.